While the eyes of the world are on Solo: A Star Wars Story (in theaters now), there is still plenty more Star Wars on the way. 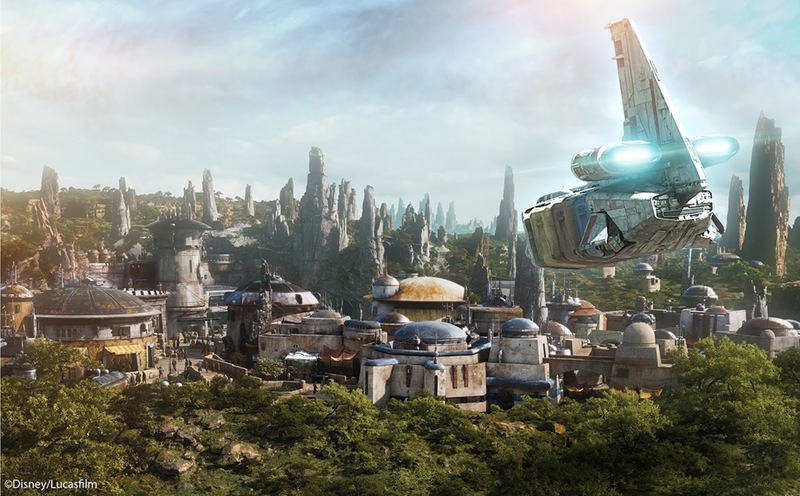 Among the reasons to be excited are the upcoming theme park expansions known as Star Wars: Galaxy's Edge which will be opening in summer 2019 at Disneyland in California and late fall 2019 at Disney World in Florida. To promote the park's opening next year, Disney hosted a panel about the theme park during their Galactic Nights event at Disney's Hollywood Studios in Florida. Star Wars: Galaxy's Edge is slated to open in Summer 2019 at Disneyland in California and late fall 2019 at Disney World in Florida. There will be two main attractions, one being the Millennium Falcon ride featured above and the other being a Resistance vs First Order ride. 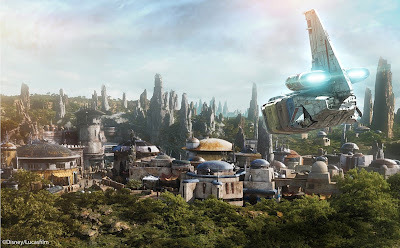 Galaxy's Edge aims to be as immersive as possible, meaning that staff at the park will be "in-universe". In addition to rides and in-universe staff, fans can also expect themed restaurants and hotels.